If you are considering being a snowbird in retirement or owning a vacation home packed with rental potential and an easement ownership, we encourage you to tour our website to view our community-minded, casual lifestyle in a recreational resort setting. Where neighbors build long time friendships while in pursuit of their favorite pastimes and hobbies like playing cards, golfing or telling tall fish tales with their friends and neighbors. Our ongoing goal is to provide useful information for individual property owners, and prospective buyers and sellers. 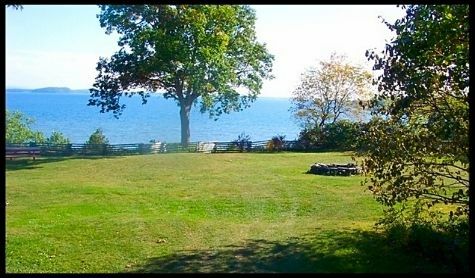 Located in a highly desirable vacation area on the southern tip of the Lake Champlain Islands in South Hero Vermont. With approximately 160 acres of common areas there is something for everyone including: a pool, fitness room, walking paths and many other amenities and activities for your pleasure and enjoyment. You will find valuable information about our neighborhood here in Apple Island Resort with opportunities for campsite easement ownership that are available through cottage resales, answers to frequently asked questions and showcase why we enjoy a casual lifestyle in our seasonal home community and look forward to returning every spring. Park model homes are designed to stay mostly in one place and provide comfortable accommodations with all the features of a home. They connect to utilities just like a home and can have washers, dryers, dishwashers and come with standard flush toilets. Just think, whether your goal is to rest and relax or be very active, you can enjoy all of this whenever you want, without reservations, without packing, and save money without the hassle of hauling an RV around. They are durable, built to withstand all types of weather and are perfect for three-season use. Park models also have a life expectancy better than conventional RVs, with real vinyl siding and metal or shingled roofs, and they are much easier to maintain as well. If you are looking for a downsized three-season living option in Vermont or a seasonal camping escape home with all the comforts you desire with a deeded lot easement, consider joining our neighborhood community and enjoy the exclusive benefits of ownership that only a select group of RV owner's experience. We are close to a variety of area attractions and shopping, but far enough away to enjoy the beauty of northern Vermont outdoors. View the up-to-date easement vs seasonal ownership description and associated costs in our frequently asked questions section. Feel free to explore the features available to the public on this site and imagine having your piece of paradise in the beautiful Champlain Islands area. Where morning sunrises over Lake Champlain and Vermonts Green Mountains will start your day of enjoying the casual lifestyle of Appletree Bay Resorts Easement Owners - Class B Members. Current easement owners may add their property listing on our resales page and also stay up to date and find valuable information such as news updates, a directory of present members and copies of important documents on the private members side of this website. This is an unofficial site for the Appletree Bay Resorts Easement Owners Class B Members and is independent of Apple Island Resort. It has been developed and maintained by community volunteers as an informational resource for the convenience of both our members and the general public. The intent is to promote accurate and timely communications and to provide easy access to information about our association and our casual lifestyle. We are committed to continuous improvement of our website and welcome your feedback, questions, comments, and concerns. Please let us know what you think and how we can improve by submitting a comment on the Webmaster's help page.